Sometimes actors can get bored doing the same type of roles. This 2007 movie was a definite step away from the serenely moral aw shucks folksy patriarchs that make up a lot of Kevin Costner's filmography. However, this film still lets Costner play a protective decent family man, although a very twisted one. It was a fine piece of acting and perhaps something you should watch if you've never seen Costner portray wicked characters. This wasn't really a hit IIRC. Some would argue that's because Costner isn't a very compelling actor. I would disagree with that. It is true that this film wasn't what most people wanted to see from Costner. But Costner's alleged lack of range works for this role as his character is very tightly wrapped indeed. Earl Brooks (Costner) is the middle aged CEO of a packaging/boxing company. Earl is a good man, or so it seems. Earl is a philanthropist. He's solicitous of his workforce; Earl has so far resisted selling out to East Asians or outsourcing work overseas. Although Earl is a multimillionaire he's still married to Emma (Marg Helgenberger), a woman in his own age range, instead of a much younger lady. Earl is faithful to Emma. Earl has a good relationship with his college age daughter Jane (Danielle Panabaker), even though she arrived home unexpectedly with news that isn't calculated to please her parents. Earl was just named Man of the Year by the local Chamber of Commerce. Things are going well for Earl except that he has an itch that he must scratch. That itch is that Earl is also a serial killer, called the Thumbprint Killer by the cops and press. For the past two years Earl hasn't murdered anyone. Pretending to be an alcoholic, Earl attends AA meetings to battle his cravings. But we must be true to ourselves. Earl's id/alter ego Marshall (William Hurt) is insistent that the time has come to kill and kill now dammit! Earl agrees. Earl, a man of impressive intelligence, meticulously prepares for every possibility. He leaves home one evening and murders a man and a woman who were doing the do. Earl destroys all physical evidence linking him to the crime scene. But even smart people make mistakes. And mistakes cost. After the murders a man named Smith (Dane Cook) turns up at Earl's office. Smith has photographs of Earl in the house with the murder victims. But Smith doesn't want money or a job. The degenerate Smith wants to accompany and watch Earl the next time Earl commits murder. 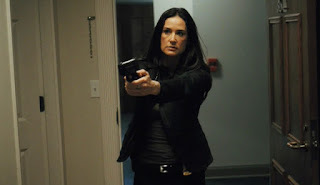 The woman tasked with catching the Thumbprint Killer, detective Atwood (Demi Moore) is experiencing a nasty divorce. Atwood is also struggling with the fact that yet another serial killer Meeks (Matt Schulze) has escaped from prison. Meeks intends to take a long horrible revenge on Atwood for putting him there. Atwood thinks she can solve all of her problems by finding the resurfaced Thumbprint Killer. Earl routinely recites the 12 step Serenity Prayer to deal with his internal demons. Earl is physically dangerous though he rarely gives that impression. His real weapon is his intelligence and ability to read people quickly. 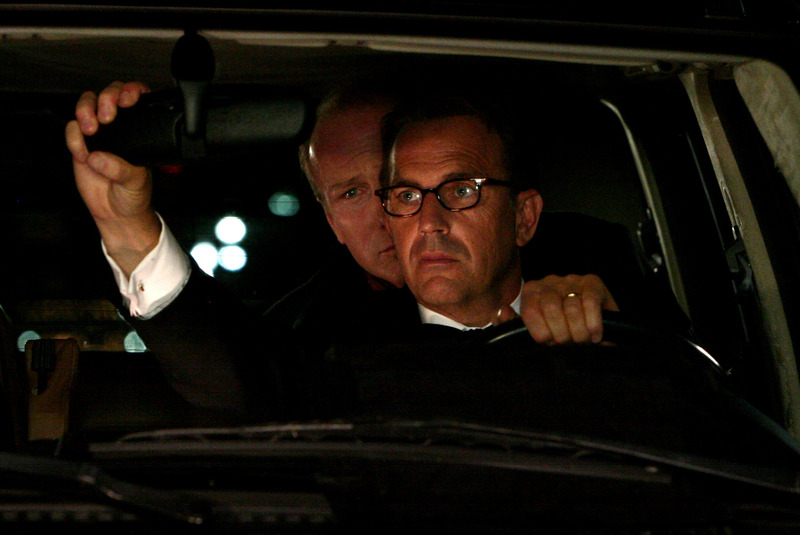 Mr. Brooks has a few too many subplots, but it is a clever film. I thought Hurt's Marshall was the film's most effective tool. When Marshall and Earl carry on long conversations you forget that this is all in Earl's mind. Usually dressed in black and speaking from the shadows Marshall gives voice to Earl's suspicious, hunches and deductions. The film has something to say about addictions and whether or not these are personal failings or genetic curses.